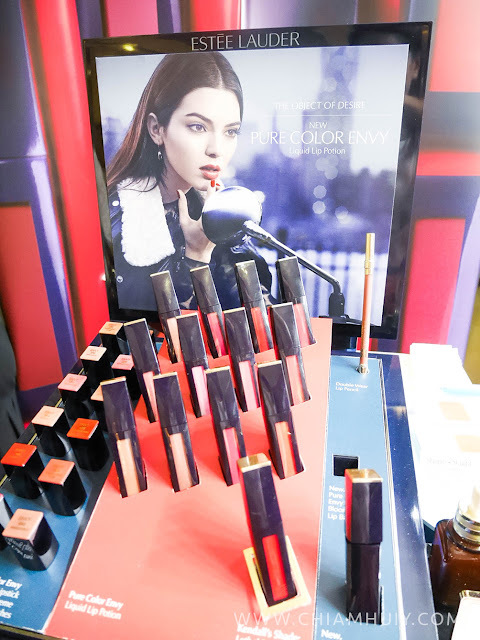 If you haven't heard, ESTÉE LAUDER has quite a few important launches these few months, namely the Pure Color Envy Liquid Lip Potion, Little Black Liner, Pure Color Envy Eye Defining Singles and New Sculpting Shadow Brush. I was honored to be invited to the launch party at ESTÉE LAUDER Boutique Store @ Ion Orchard to do some swatches and get introduced to these new additions. Follow me as I bring you through all the new cosmetics ESTÉE LAUDER has for us! 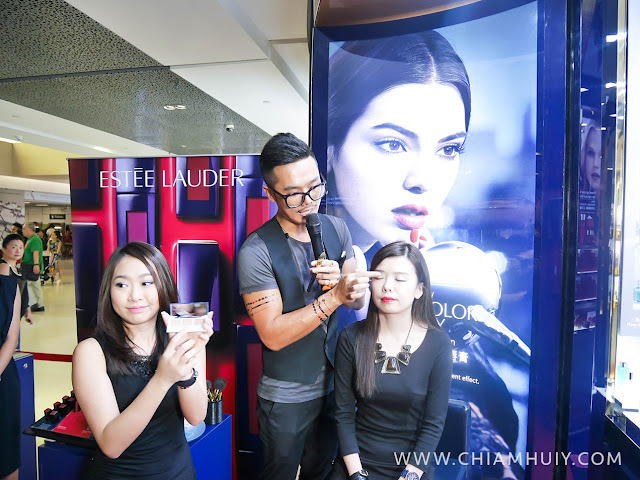 Make up artist Bobby doing his magic on the model using ESTÉE LAUDER Pure Color Envy Liquid Lip Potion. As you can tell, ESTÉE LAUDER Pure Color Envy Liquid Lip Potion is a good mix of lip balm and lipstick, with very intense moisturising effect and long lasting color effect. I’m absolutely amazed by how thick and creamy the lip potions turn out. 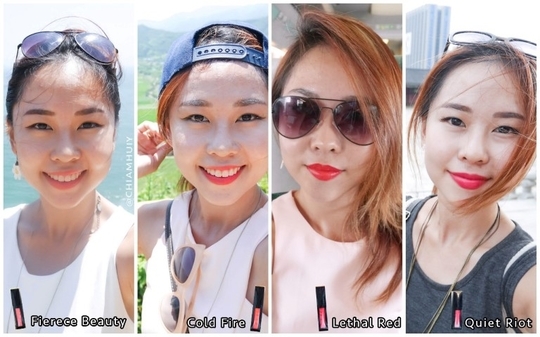 All the swatches are achieved by only one swipe and the colours are definitely intense. 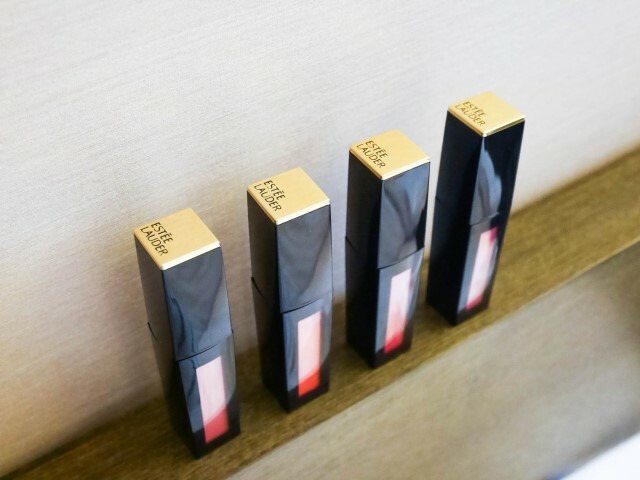 These Pure Colour Envy Liquid Lip Potion are formulated with rich moisture and a satiny texture to give a smooth long-lasting wear for up to 8 hours. As for the reason behind such an intensive concentrated colour, it’s thanks to Estée Lauder’s Advanced True Vision Technology that contain structural pigments to give a rich colour effect. For people with dry lips, fear not because the Time Release Encapsulated Moisture Complex with Hyaluronic Acid, avocado oil, jojoba oil and sunflower oil help to seal-in and boost moisture level on the lips. Let's not forget how ESTÉE LAUDER's signature gold and navy theme never fails to disappoint. Sleek classy design with its signature navy and gold-tone packaging are just lovely. 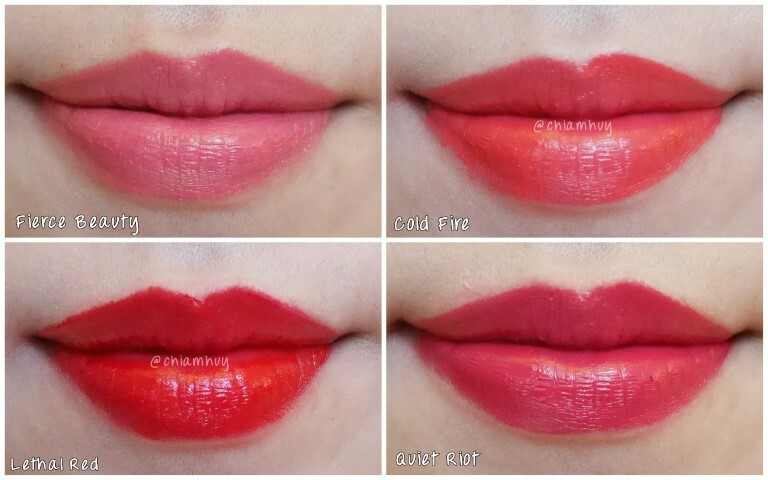 I definitely say ESTÉE LAUDER Pure Color Envy Liquid Lip Potion is a must-have if you like long-lasting lip colour without having to keep re-applying your lippies. The colours are so intense and bold, i really adore the results. 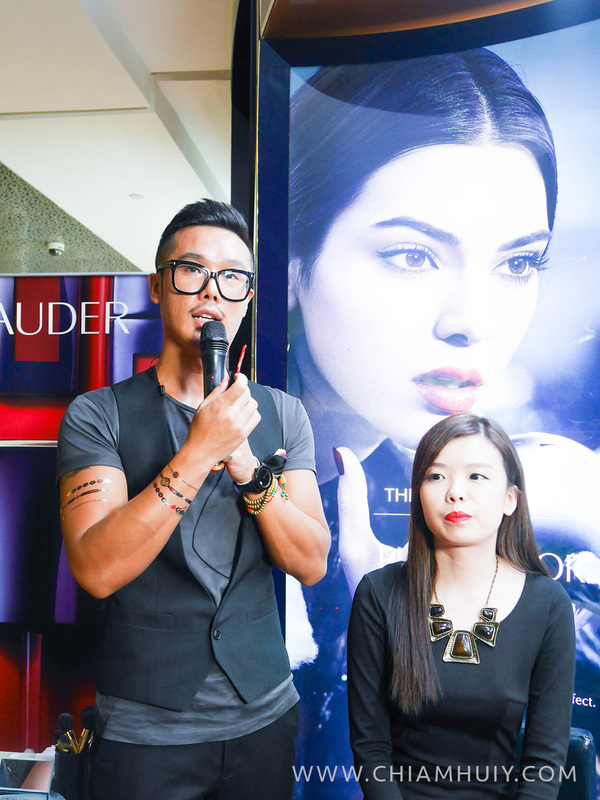 Bobby also demonstrated on the use of ESTÉE LAUDER's New Dimension Collection, which I will be reviewing very soon. 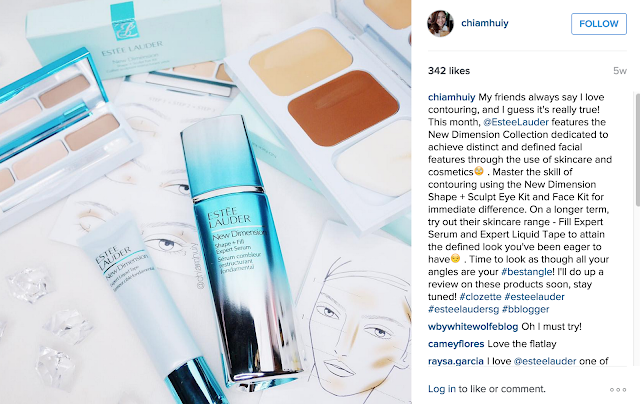 Before that, here's a quick look of the New Dimension Collection!